my journey from extrovert to introvert. I have recently come to realize something about myself. I haven't always been an introvert, and it's taken some recent self reflection to realize this about myself. Per usual, I process best while writing, so I have decided to share my latest life epiphany with you. Thank you in advance for reading, for hearing, for understanding. Growing up, I was no doubt, an extrovert. My parents would probably tell you that they noticed this about me at the ripe age of two. I loved to sing and dance and be the center of attention all the time. In high school I was a cheerleader, bubbly, easily excited, loud, and super outgoing. I was the girl who asked a boy to the Sadie Hawkins dance in front of the entire school in the middle of a pep rally. I never missed a school dance or other social gatherings; I was daring and outspoken and an overall "people person". I met Brett when I was 18, and this is who I was at the time. I could small talk for hours and charm the pants off of anyone. I was a waitress and loved my job, not necessarily because the tips were good but because I loved talking to new people every night. This was the Ashlee that Brett fell in love with. When I was 20, I moved to Sacramento (alone) to attend UC Davis. I knew exactly two people on my first day of school. Brett and I had just purchased our first home, and I lived there by myself for the nine months leading up to our wedding. While I spent a lot of time on campus with a small group of friends I had found, I was overall pretty disconnected from college. I was planning my wedding, settling into a new house, and adjusting to my new long-distance relationship with Brett. I didn't always like living alone, but I started to appreciate the quiet and solitude of an empty house. From ages 20-24, I fell into this weird place socially where I was not really an extrovert anymore, but not really an introvert either. I was 50/50, dancing on the line between E and I, easily swayed either way depending on the day and crowd. I felt myself shifting, changing, and transitioning. I became more introspective and more quiet. I started writing regularly. I began to crave alone time, and started shifting away from big gatherings or large groups of people. I never joined a sorority, and instead focused on fostering friendships based on smaller, more intimate settings. I was more extroverted around some people, and more introverted around others. I was, perhaps, turning into an introvert with social skills. At 25, I got pregnant, and felt myself shifting again, this time into a person who was mostly introverted, and rarely extroverted. Being pregnant is hard. I was slowly turning into a hermit, only encouraged by the decision to quit my full-time job and start working for myself. I spent the majority of my pregnancy at home on the couch, in sweatpants, pondering life and motherhood. I was anxious and scared a lot of that time. I was hormonal and emotional (like, WHOA). I didn't really like going out or being around groups of people. I was silent a lot of the time. I had constant inner dialogue with God and with Everett. I had constant outer dialogue with Brett, but not very many others. And then Everett was born. And it was amazing. 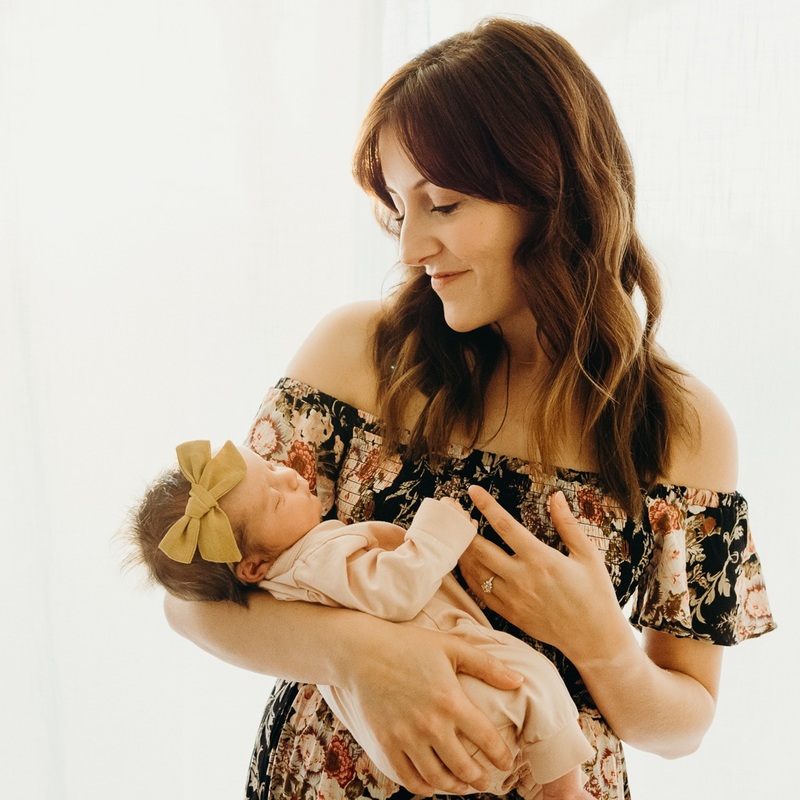 I became a mother, and it forever changed me. I felt another shift, another transition, as I became super withdrawn and anxious. If Everett was not in my arms, I was worried about him. If I couldn't see him in the room, I felt anxious. Everett is nine months old now and I still feel this way often. I think a lot of it has to do with breastfeeding and the biological, instinctual bond of our bodies still needing each other. When Everett was a newborn especially, in those first couple of months, I saw everything as a threat to his protection. I didn't like anyone holding him for more than a few minutes at a time. I needed to make sure he was close to me, to hear me and see me and smell me, all the time. I started to dread bringing Everett to big family gatherings or parties. I constantly felt overwhelmed, anxious, and threatened. I never felt in control of myself or of Everett, and I couldn't wait to get home where we were safe again. I hated making small talk and found myself too distracted by worry to enjoy conversations with people. I started to love being alone with Everett far more than I loved being around people, which became draining and exhausting for me. As I'm typing this, I'm aware it sounds like I have a legit anxiety disorder. I don't believe that to be true, as all of these feelings are fading with each passing month. I think all first-time moms suffer from minor anxiety in the beginning, right? Anyone? Bueller? -Marriage changed me. -Moving to Sacramento changed me. -Becoming a mother changed me. All of those things changed me for the better, and through each change, I have found myself leaning more on God and less on myself. God has used those changes to strengthen me, challenge me, and help me grow into the person that He created me to be. And at this point in time, that person is an introvert. I love quiet. I need quiet. I like writing more than I like talking. I like having a few close friends and spending quality time with them in one-on-one settings or in small groups. And despite all of this, I would never describe myself as "shy" which is the term the dictionary uses to describe an introvert. I love the way the Myers-Briggs Personality Test defines introversion and extraversion---as a measure of where your energy comes from. Does your energy come from an outer world of people and things? Or from your inner world of ideas and images? Right now, in this season of new motherhood, my energy comes from resting, reading, reflecting, processing, and writing. I don't know how long this season or phase will last. I think my natural disposition is to be more of an "ambivert" --- someone who falls in the middle of the spectrum. The professionals will tell you that it's impossible to be 100% extroverted or 100% introverted, and I agree with that wholeheartedly. I think you can possess qualities of introversion and extraversion simultaneously, and I also believe you can transition from one to another with the passing of seasons and life stages. Today, I am an introvert. What about you? Are you an introvert, extrovert, or ambivert? Have you transitioned from one to another during major life changes? If you're a mom, did motherhood affect your introvert/extrovert tendencies? I'd love to know your thoughts!